I just bought a MacBook Pro and it's a beauty. I haven't opened it yet. I expect it to ask my about the language and for an account. That's cool, however I was wondering if there is something I could do, so that it won't ask me for a password every fOcking time I the laptop goes to sleep automatically (because e.g. I was on the phone). 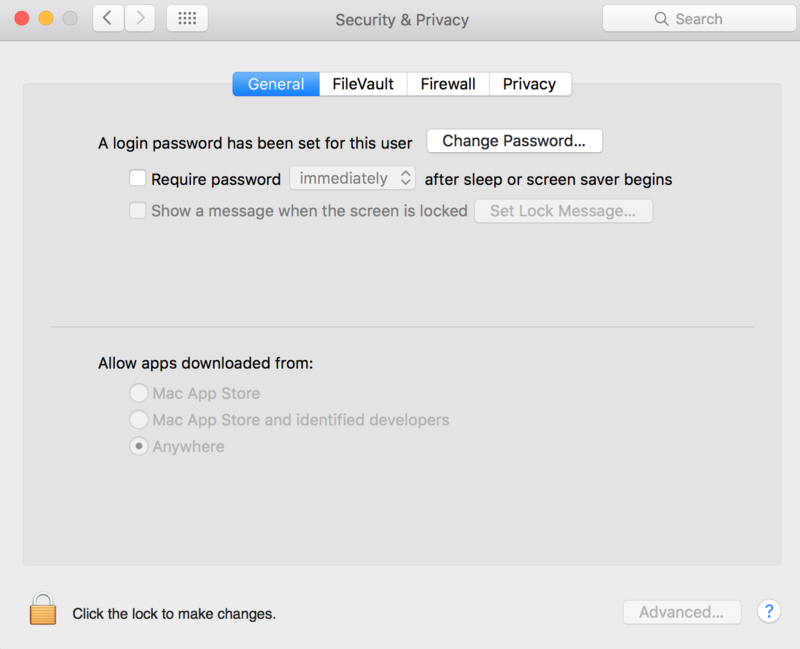 If you go into system preferences (click on the apple icon in the top left corner of your screen) and go into "Security & Privacy", there is an option to disable the password after sleep. Not the answer you're looking for? Browse other questions tagged macos macbook password user-account settings . Mini DisplayPort and DVI cables not working? How do spam email accounts get onto devices?